The Bay Area Is Big. Over 6 Million People Live Here, But Wherever You Are I Can Help You With SEO. You know how they say New York City is the city that never sleeps? Well, out here in the San Francisco Bay area, we not only refer to San Francisco as the “city,” but it is also a city that never really seems to sleep. I am not much of a party goer, I am more of an educator, but I am aware that we do live in a city that doesn’t seem to sleep. Another common phrase that one uses is location, location, location. We hear this a lot in real estate. Here in California, when people talk about how expensive rents are in a city like San Francisco, or the price of housing in general in Northern California, we often sigh, shrug, and look at each other, and exclaim, location, location, location. I am originally from Tulsa, Oklahoma, and I truly love Oklahoma, but living in the bay area has its advantages. Low costs, are not among them! This brings us to a final phrase which I wish was more common than it actually is. Promotion, promotion, promotion. Having just completed my latest book, the Job Search and Career-building Workbook, I feel a bit like a mother who has given birth to a newborn. But when the baby comes, that mother often realizes, and so does the father (! ), that the work is just beginning. Similarly, if you are lucky enough to produce a new product such as a new book, you may realize that the birth of the product or book is just the beginning. You have entered the phase of promotion, promotion, promotion. I mean, promotion is a massive part of any business or product, so it makes sense as to why this is so important. As there are so many ways to promote products, including the use custom notebooks, balloons, t-shirts, to using social media and getting in touch with potential clients, there will always be a solution to being able to build your brand awareness and get the message out there about your business or product. The main thing to remember is that you should never give up. As an expert in marketing, it is necessary, for me to take my own advice. 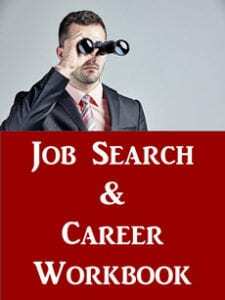 I am now in the phase of promotion, promotion, promotion, for my new workbook on job search and career building. If you’ve read this far, and you’d like a free copy of the workbook, please send me an email. I am literally sending out free copies by the truckload, and if you are interested, and are willing to write a review on Amazon or elsewhere, I am happy to send you a review copy.